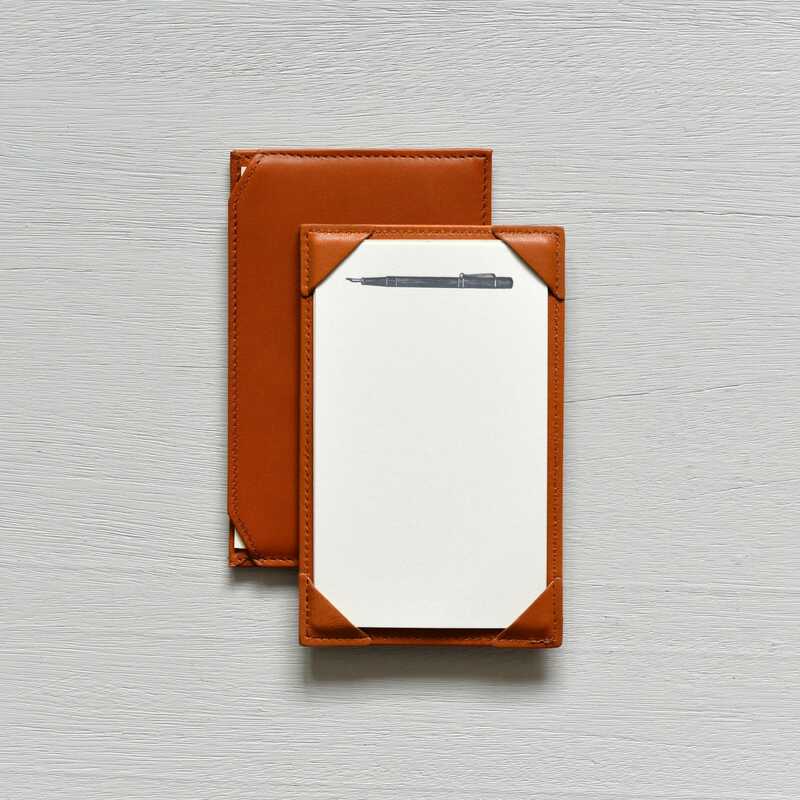 This handy leather jotter includes 24 – 3″ x 5″ crisp plain note cards. Product shown with a Scriptura letterpress jotter card with fountain pen motif. These can be purchased separately in packs of 25. To find jotters letterpress printed with our illustrations, simply use the search term “jotter” in our search bar. To order custom jotter cards, email info@scriptura.com.